Get Pest Control Help You Need, Fast! Whether you are dealing with rodents and insects at work or bed bugs at home, our licensed exterminators here at Tap Out Pest Control are happy to help you, no matter how badly infested your place is. Our family owned business has been serving Jersey City and the surrounding areas for over 7 years. We have mastered the best way to exterminate any unwanted nuisances. Not many companies can promise they’ll get rid of your pests, but we can promise you that not only will we get rid of your pests, but we will keep them from ever deciding to settle in your home or business, ever again. As soon as our pest control professionals get the job done, you and your family will be living and working in a cleaner, safer environment. Our pest control service leads to better, healthier lives. We’re Better Than All Other Pest Control Companies, We Guarantee It! 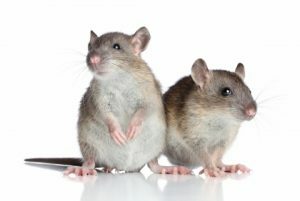 Our pest control services are available to all residential and commercial locations in the Bergen County, NJ area, and we are known for being the best. We always get each and every job done perfectly, and we promise that with our help you will no longer have to worry about sharing your space with any unruly insects and rodents. Because of our friendly demeanor and hard work, we always leave our clients pleased with the outcome. There is no better feeling than knowing that there are no longer dirty and harmful creatures surrounding you in the place where you are supposed to feel the safest. Contact us at Tap Out Pest Control and get a free estimate for what you need to get done. We will take care of it and you will have no regrets, satisfaction guaranteed! Request a Quote From Our Pest Control Company Today!